Located in the prestigious Les Parcs de Saint-Tropez, this lovely villa faces towards the sea and includes a private beach. The property is just 4-kilometres from the centre of town. The interiors of the property are modern and spacious with plenty of natural light coming through the large bay windows that are extended by the vast terraces. The swimming pool features a luxurious outdoor Jacuzzi and is surrounded by a pretty landscaped lawn, filled with pine trees, olive trees and other Mediterranean flowers. The entrance of the villa leads out into the large open plan living area, made up of a lounge, dining room and a fully equipped kitchen. Each of these rooms open onto the terrace with outdoor seating and dining furniture. The study includes a lounge area. The ground floor includes 2 guest bedrooms, each with an en-suite shower room and facing out to the sea. The lower ground floor features a double guest bedroom with an en-suite bathroom, kitchenette, lounge and access to the pool side. 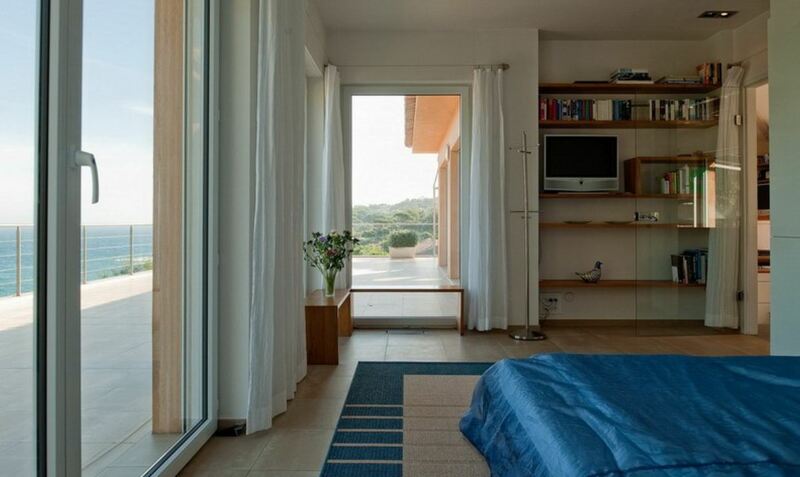 The 4th bedroom is a twin bedroom with an en-suite shower room and a terrace facing the sea.